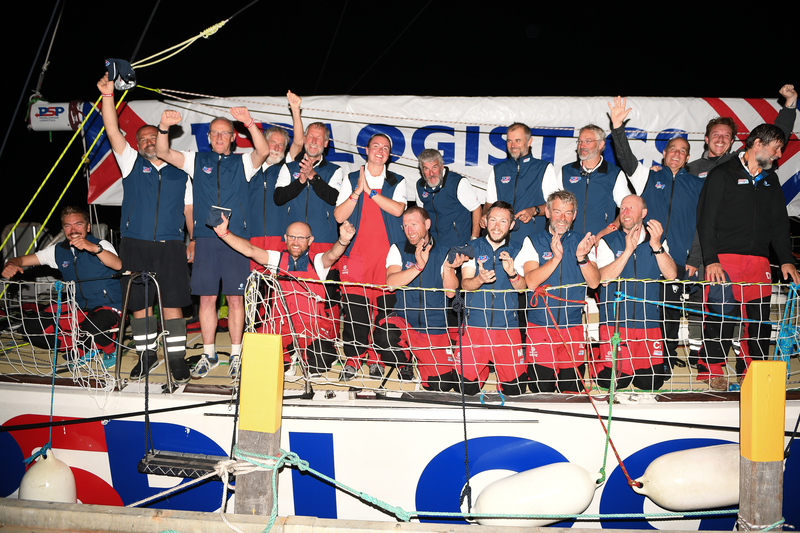 PSP Logistics finished a highly impressive fifth overall in the Clipper 2017-18 Race, making it the best result for the Team Partner in its three editions, an especially impressive effort seeing as the team was famous for notching up more miles than any other in the race. Unique tactics aside, PSP Logistics’ campaign got off to a dream start. 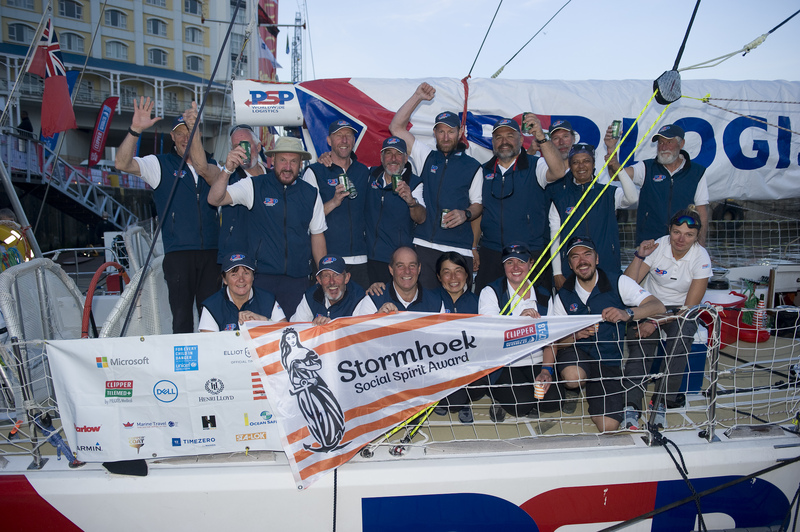 The team was overjoyed after it was second across the line in the opening race from Liverpool to Punta del Este, officially taking third place after redress. 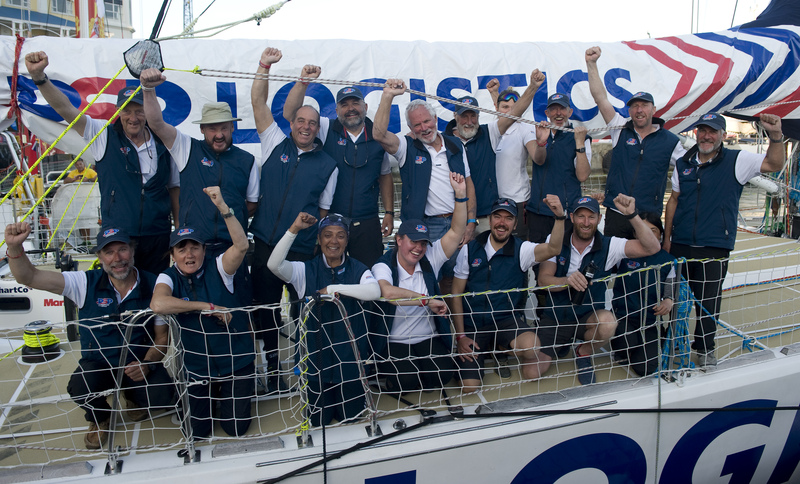 IMAGE: PSP Logistics triumphant after taking third place in Punta del Este. Leg 2 didn’t go quite as smoothly however. Two days into the race across the South Atlantic to Cape Town, PSP Logistics was forced to abandon racing after colliding with a whale. 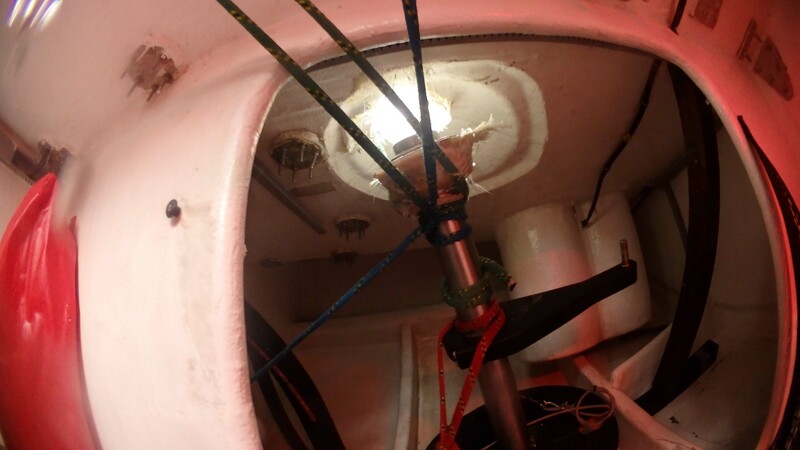 All onboard were unharmed (as was the whale) but the damage to the starboard rudder meant the team had to return to Punta del Este for repairs. Skipper Roy Taylor wrote in his Skipper Blog at the time: “Well, as you will all know by now, boat v whale is not good for poor boaty. “Despite the great disappointment, I can take great pride in the way the team dealt with this setback and their attitude since. David Wilson (Engineer extraordinaire) was great and was straight into the lazarette to assess the extent of the damage before jury rigging the poorly rudder stock to prevent further damage. Trevor Taylor and Ben Acland took a good soaking on the foredeck as we downed the Yankee 2, unbent it along with the Staysail, and bent on the Storm Jib to deal with the 45 knots we were experiencing at the time. 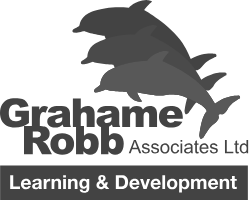 Lots of great ideas and suggestions came flooding in from the team as clearly the content of their ISAF training came flooding back to them. IMAGE: The damage following the collision with the whale in Race 2. IMAGE: PSP Logistics racing to Cape Town following repairs in Uruguay. After five days in port, PSP Logistics resumed its race across the South Atlantic. The unexpected return to Uruguay did mean the team missed the majority of the Cape Town Stopover, though they bought the house down with a video sent from on board which was played at Prize Giving. VIDEO: PSP Logistics Cape Town Prize Giving message. 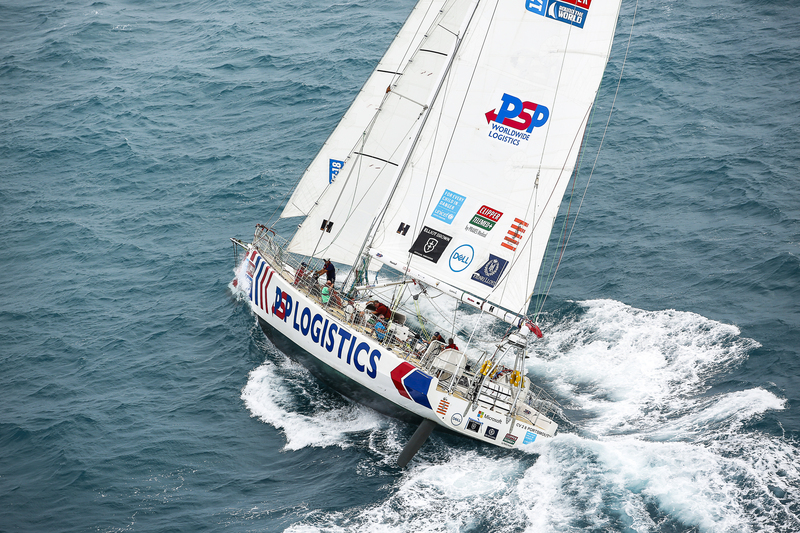 Finally, 24 days after the official start of Race 2, PSP Logistics made its long-awaited arrival into Cape Town. It was an arrival to remember, with all the other teams, supporters, Clipper Race staff, and locals – including an incredible choir – turning out to cheer the hardened and exhausted PSP Logistics team into the Victoria and Albert Waterfront marina. IMAGE: In Cape Town at last. Fellow circumnavigator Nigel Holcombe, from Wimbledon, UK, added: “It wasn’t as bad as you may think. The spirit was great, we were great. It is tougher when you are not racing but we really have had a lot of laughs. VIDEO: Clipper Race Facebook: Live of PSP Logistics' emotional arrival into Cape Town. With PSP Logistics arriving just three days before the start of Race 3, the Clipper Race family really came together in Cape Town to ensure the team was ready for the Southern Ocean Leg. Crew and supporters volunteered across the fleet to clean, victual, and carry out maintenance so the PSP Logistics crew could have time off to rest. 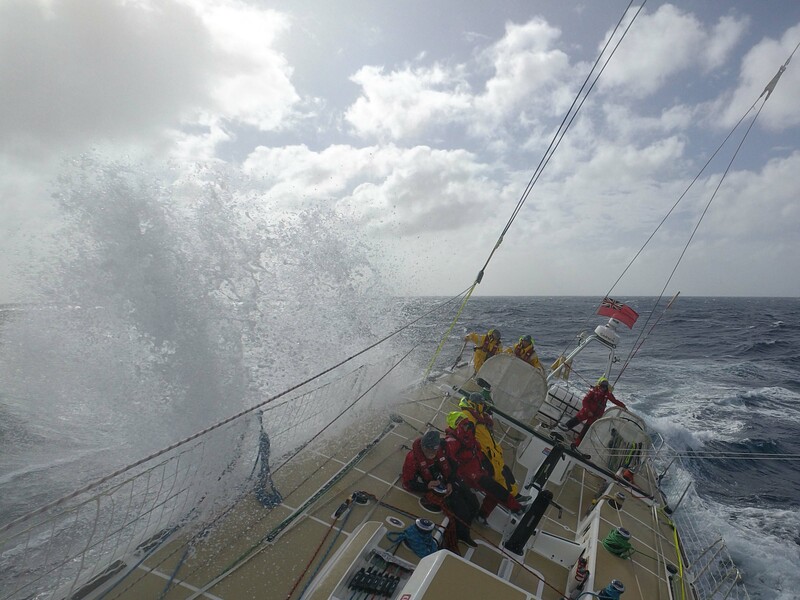 Ben Acland, who took part in Legs 1, 2, and 3, summed up the Stopover in his first blog of the Southern Ocean race, saying: “What an experience this Clipper Race is! Our last blogs leading into Cape Town were from the perspective of a team isolated in the South Atlantic Ocean just fighting for every minute of time not for any result but simply for an extra minute on land. We had expected a welcoming party, but what we got blew us away and lifted us up. Arriving mid-afternoon on a beautiful sunny Saturday, we found Clipper 70s in their berths with sailors on every one, the choir singing, dock filled with spectators, and the beautiful Table Mountain in the background. IMAGE: PSP Logistics with the Stormhoek Social Spirit Award. IMAGE: The team celebrates after finally finishing Race 2. PSP Logistics had a Skipper change in Cape Town, with Clipper Race veteran Matt Mitchell taking over from Roy. The team continued to excel, picking up podiums in Fremantle and the Whitsundays in Australia, and then winning the race to Sanya, China. IMAGE: PSP Logistics back on the podium in Fremantle, Australia. IMAGE: Winners into Sanya, China. It was a much different story in the second Chinese port of Qingdao. PSP Logistics had led the fleet for eight consecutive days and was 25 nautical miles ahead of eventual winners Visit Seattle with just 30nm to go until the finish line. 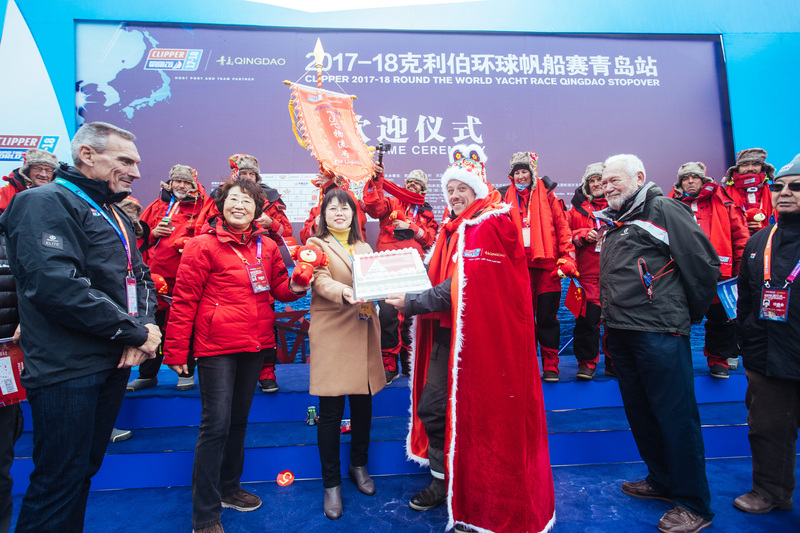 However, a cruel wind hole trapped the team almost in sight of the finish line and whilst PSP Logistics had to settle for sixth, the warm and exciting welcome in Qingdao went a long way to soothing the disappointment. IMAGE: A welcome to remember in Qingdao, China. There was another podium finish to come. 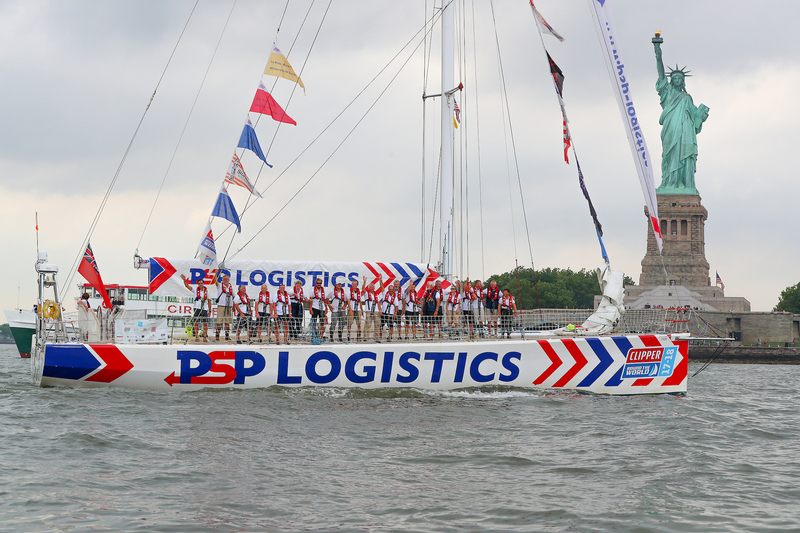 PSP Logistics finished the USA Coast-to-Coast Leg 7 with a bang, claiming first place in the race from Panama to New York. After making an early break from the rest of the fleet, PSP Logistics led for six of the ten days to finish just shy of three hours ahead of Sanya Serenity Coast. IMAGE: The Race 11 winner making a stylish entrance into New York. 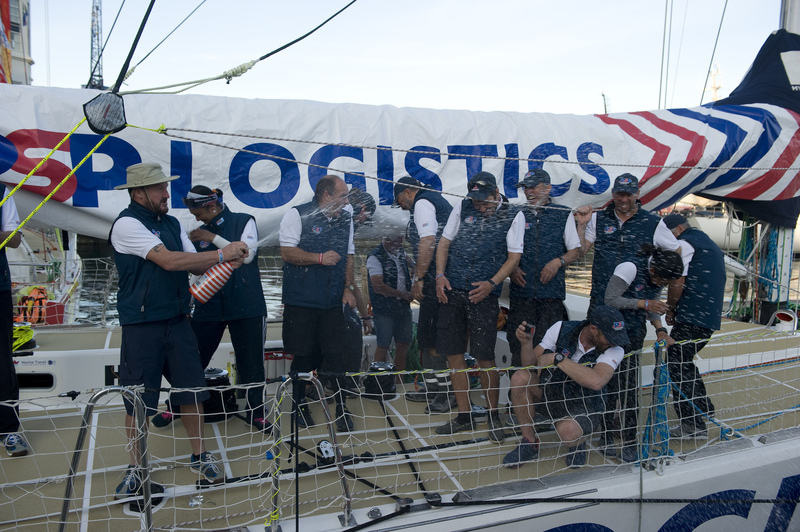 PSP Logistics finished the race they way they started – coming second in the thrilling sprint down the Mersey to take an overall fifth place finish. Not a bad result from a team that nicknamed themselves ‘Team Saga’ before Race Start!